The Hungarian Investment Promotion Agency (HIPA) has organized the sectoral gala event and award ceremony for the fourth time, this time also complemented by a competence day. This year again, the foundation of the full day program was provided by the comprehensive survey conducted among the business service centres (BSC). 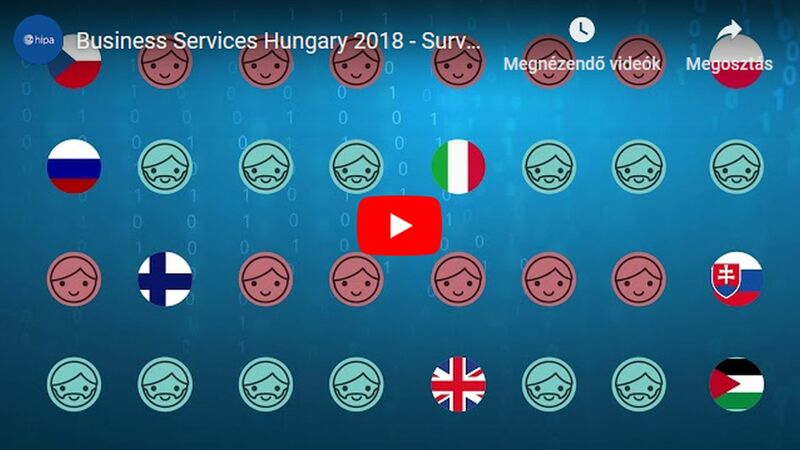 The 2018 survey was prepared in cooperation with the Hungarian Outsourcing Association (HOA), as well as the Corvinus University of Budapest, as an academic partner. This year the prestigious awards handed over at the gala event were granted to Morgan Stanley, BT, and Prabal Datta, manager of TCS. As the Hungarian BSC sector keeps expanding and improving, the significance of the survey examining the sector keeps on increasing, since a more direct feedback regarding the most recent changes and tendencies is not possible to get. More than ever, namely 71 companies took part in the survey this year, therefore we can get an ever-greater representative picture in 2018 regarding the latest novelties. The results of the survey and the related own experiences, exemplary national or international "best practices" were processed by the sectoral leaders in the framework of round table discussions and interactive workshops with limited headcount. Based on the research and feedback, the key topics of the near future are shifting towards activities with higher added value, as well as the related quality labour recruitment and retention, and also – based on the university's labour and knowledge-base – the extension outside the capital, towards the so-called TIER-2 locations. The workshops were hosted by the Corvinus University of Budapest, Deloitte, EY, KPMG, PwC, Randstad, as well as the experts of Talentuno & BSC Heroes, who also contributed to the survey as professional partners. Click here to dowload the survey results. In the Central-Eastern-European region Hungary has one of the most mature BSC markets, and the dynamic development of the last two decades has not lost any momentum recently. Currently there are about 110 business service centres operating in Hungary, employing almost 50 000 persons belonging typically to Generation Y (born between 1980 and 1999) who have a degree and speak multiple foreign languages. The units, which provide services in average 5, but up to even 30 languages, contribute to a great extent to enabling as many talented and well-educated labour as possible to find career opportunities in Hungary. High salaries, quick promotion opportunities, the application of foreign languages and international perspectives offer an attractive alternative for today's young generation even in the long run. As the closure of the event, the most outstanding companies and managers of the year were rewarded at the evening gala ceremony in the centre of excellence, educational cooperation and the BSC manager of the year categories. Since its foundation in 1935, Morgan Stanley has been one of the most prominent financial companies of the world, employing 60 000 associates worldwide. The office in Budapest was opened in 2006, and is relying on the outstanding local mathematics, quantitative and technical knowledge base. Today, 12 years later, the Budapest centre has a headcount of nearly 2200 people and 12 different departments from information technology, through quantitative modelling and risk management, all the way to financial analysis. During these years the office has really become a Centre of Excellence, which leads numerous important processes and projects even from a business aspect, and stands out from similar Hungarian centres both concerning its size and its complexity. The BT ROC (Regional Operations Centre), as one of the largest employers in the national business services sector, currently cooperates with some 20 institutions of secondary and higher education nationwide. The employees of the company provide business skills development and language courses, and also vocational-practical training in the educational institutions. They reach several hundred students, who are potential future employees with their training programs on a yearly basis. Starting from this year, they also place large emphasis on the stimulation of educational relations in connection with the field of business services. Prabal Datta arrived in Hungary in the summer of 2015 to head TATA's global service centre. Under his leadership the Budapest unit has considerably increased its headcount, and has become a prominent player in the sector with its performance. In addition to supporting the cooperation with universities over the last three years, Prabal Datta, as the Hungarian ambassador of the industry has played a paramount role in the promotion of Hungary and the results achieved here.